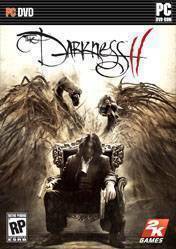 Inspired by the comic book series, The Darkness II is a first-person shooter that thrusts you into the role of Jackie Estacado, don of a New York crime family and wielder of an ancient chaotic force known as The Darkness. It has been 2 years since Jackie used his power to kill the guys responsible for his girlfriend’s murder. He has been unable to free himself of the memory of Jenny’s death since bottling up The Darkness and now it wants out. A botched attempt to end Jackie’s life opens the door for The Darkness to reemerge and sets Jackie on a brutal journey as he unravels the mystery behind the attack and the motives of The Darkness. There are no comments yet about The Darkness II . You can be the first one!